In the winter of 1914, the world was slowly being torn apart by war as Europe was engulfed in conflict. Started following the assassination of Archduke Franz Ferdinand of Austria by in July of that year, the Great War lasted for four years, killing a total of 16 million people in what is widely regarded as one of mankind’s deadliest conflicts. In the first five months of the war, German forces had managed to establish a continuous front line that ran from the North Sea to the Swiss frontier but were unable to move forward as Allied troops, primarily the French and British pushed back. What came to be was a stalemate of sorts and with both sides unable to advance, they dug into the trenches to fight it out. With little progress being made and both sides living under constant fear of mortar and poison gas attacks, morale amongst the troops in the trenches hit rock bottom. As the casualties grew day by day, memories of their life’s before the war disappeared. However as Christmas approached as series of ceasefires took place, orchestrated by senior figures on both sides. Seen originally as a way to collect the dead from the battle field and restore some sense of control and order to the troops day to day lives eventually evolved into a chance for soldiers from both sides to talk to each other and share some smaller things like cigarettes and chocolate. In total an estimated 100,000 troops across the Western front took advantage of these unofficial ceasefires which would eventually be stopped as the years rolled on and the bitterness between the two sides about the growing casualties intensified. 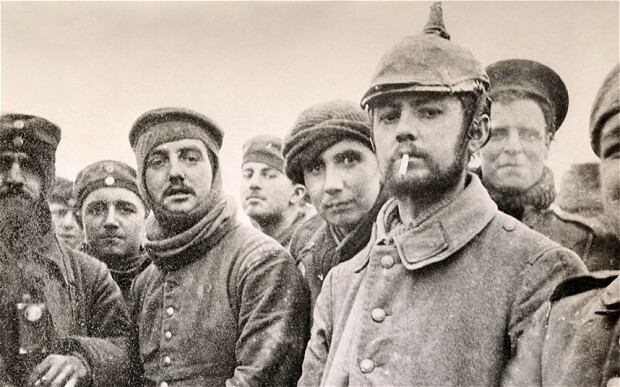 Known as the Christmas truce, these ceasefires evolved from their early days and in one known case on the Western front, it turned into a football match with German troops taking on British troops. The match played on Christmas Day was never properly recorded with conflicting reports about the score line. Some suggest that the Germans won on the day by three goals to two, however other reports talk of thumping handed down by the Brits to the German troops with a 4-1 final score. What has been recorded is that the game took place and in fact could have been one of several that happened that day. 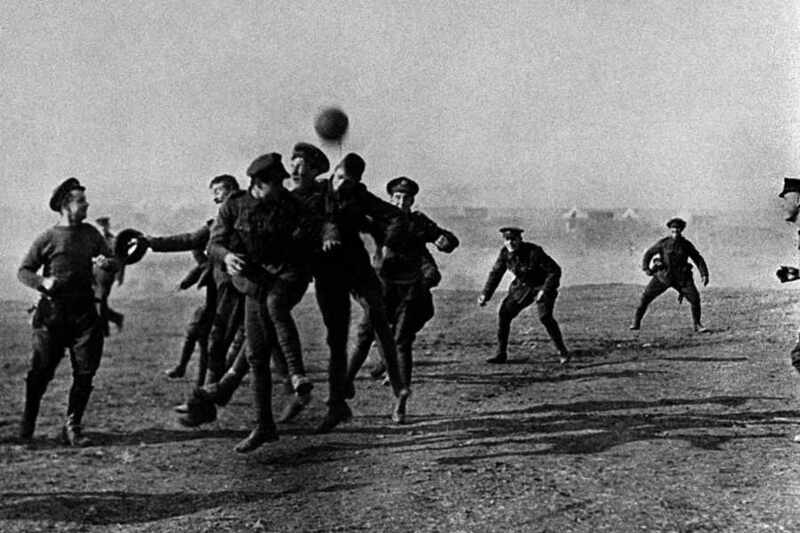 Letters from troops have surfaced detailing the match or kick around using a tin can as a ball as well as a few images capturing this remarkable event. Now 100 years on, those football matches are being remembered by professional and amateur clubs across the United Kingdom as part of Football Remembers week. The project, which will happen every year until 2018, has been set up by the British Council in partnership with The Premier League, Football Association and Football League in an effort to remember those brief moments of sanity amongst years of chaos. Clubs up and down the UK have been encouraged to upload pregame images of teams united to social media with the hastag #footballremembers. The images will then be transferred to a dedicated Football Remembers website that will remain in place for the duration of the project. So far, hundreds of teams have submitted images in a show of solidarity that those events will never be forgotten. Whilst the football matches were brief in their existence, what they did offer was hope to the troops that humanity would prevail through this tragic event.